Session replay is a term that has been around for a few years in digital marketing and one we use often to describe one of the major features of SessionCam. First defined by Wikipedia in 2009, session replay was described as “the ability to replay a visitor’s journey on a website which can include mouse movements, clicks and form entry”. The complexity of the range of solutions session replay offers, coupled with the success rate it brings, cannot be underestimated. For a start, session replay absolutely must include mouse movements, clicks and form entry to be of any use. It also needs to show page scrolling and form entry must show individual character by character field-level data entry. Session replay needs to clearly display layout, design and content of the page being replayed. At a time when sites are personalized so uniquely to the individual visitor, the replay must be the actual layout, design and content seen by the visitor at the exact time of their visit. Session replay needs to show a visitor’s journey at the speed the visit took place. 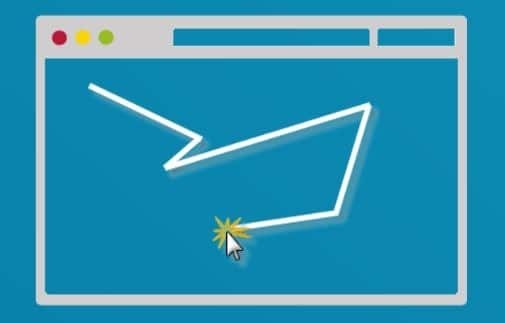 If you are using session replay to understand customer behavior, it is vital to see exactly how long it takes them to interact with each component of your website to truly identify struggle points. Today, many companies build websites that involve visitor journeys crossing different domains and moving between normal http and encrypted https web pages. With this in mind, session replay should include the visitor’s entire visit or session on a website regardless of any change in domain or page encryption. Lastly, many of today’s websites make extensive use of Ajax to deliver more dynamic elements to the visitor’s interaction without continually re-loading web pages. Often these dynamic elements represent a fundamental part of the visitor’s experience using that website. As a consequence, session replay must be able to accurately replay dynamic, Ajax content. One feature that is exclusive to SessionCam is the Customer Struggle Score. 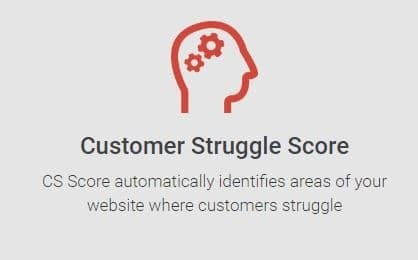 The new patent-pending, machine-learning algorithm automatically identifies and measures the areas of websites which cause frustration by calculating a Customer Struggle (CS) Score. It lists issues in order of importance. By identifying these potential issues, the user experience and conversion rate of websites can be quickly and vastly improved. The benefits of the CS Score include the identification of key website issues automatically, the significant time and effort that is saved by identifying conversion issues, and the solution having full cross-platform capability, with no customization required.